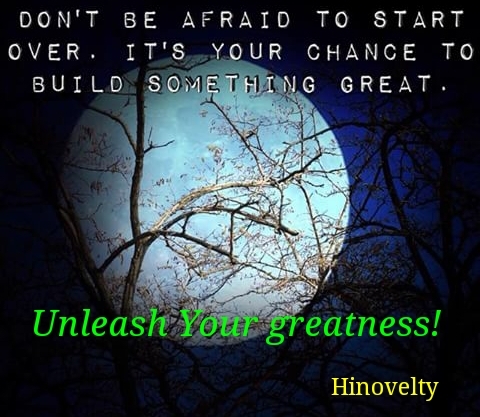 Hinovelty | The haven of holistic life betterment! The haven of holistic life betterment! His Royal Highness, Eze Willington Osuagwu, Dimeze II of Iho Dimeze and his wise cabinet members, we promise to always make you proud. Sir & Lady Emma Nnodim, our indefatigable, amiable and lovely husband, father, brother, patron, encourager, supporter and nna egwu anyi. You are a great man; we cannot thank you enough for your goodness to us. We pray that God will keep protecting and prospering you. Our dear able leader in I.D.T.U. Aba branch, Mr. Sam Emeto and his executives and all men of Iho Dimeze, we salute you for being good husbands to us and we will keep being good and virtuous wives to you. Our lovely Ezinne Rose Mgbemene, president general I.D.T.U. Womens Wing, we celebrate you and thank you ma for your visionary leadership and support. I am overjoyed and thank you all for the efforts you put in toward the success of this day. I Also in a special way thank Mr. C. Y. Ogbonna, you are a man of honour and wisdom. From the depth of my heart, I thank the Holy Family Group of St. Martins Catholic Church for training us in this marching band dance. To my fellow women at I.D.T.U. Aba branch, I thank you for making me your chairlady, supporting me and I will never disappoint you. You are women of substance. Ndi nne mama! I want to use this time to thank my vice and other executives and every member of I.D.T.U. Women’s Wing Aba branch, you are too much. All our guest, friends and well wishers, I and my fellow women thank you for honouring our invitation and supporting this project. Iho Dimeze Town Union Women’s Meeting is the union of Iho Dimeze married women living in Aba. Here we are taught to be Godly role models, good wives to our husbands and caring mothers to our children. ZION DAUGHTERS MARCHING BAND is a Godly dance that we women use to entertain lives. This dance also gives us the opportunity to exercise our bodies and be healthy. Every occasion that we are invited to, this dance adds color and life to it. We intend to take this dance to local and international events thereby bringing glory and good name to the people of Iho Dimeze. May I use this medium to commend Mrs. Bernadette Chukwuoha for pioneering the idea of this marching band; this is a Godly dance that the barren dances and gives birth to children. The sick dances it and get healed. Those who are troubled in their hearts dance it and have peace and joy. Our aim of unveiling this marching band today is that we want to showcase some of the good things we do to the public. We want to buy a coaster bus and other stuff that will help us make more positive impact in our community. We truly ask for your financial support today and pray that the good Lord will keep elevating you. We also desire to buy a land that we can erect residential building on it and rent it out to make income in order to support and finance our visionary community development projects. In all these, I thank God that you are here today and as you rejoice and launch this project with us, God will prosper all your good works. Please we have refreshments for you, sit down and enjoy this great occasion. To God Almighty, we thank you for the strength and vision that you have given us and dear Lord, we are grateful! Ndi Iho Dimeze, our guests, friends and well wishers, ekele m unu, thank you for making this occasion successful; God bless you all! 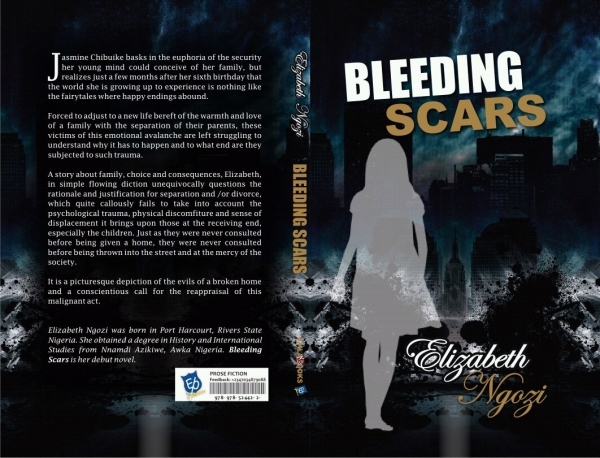 The novel ‘Bleeding Scars‘ by Elizabeth Ngozi is a beautifully knitted story that is enthralling and inspiring. In this book, the author brought life to fiction. This creative masterpiece is a lovely read! The plot is centered around marriage and family life. This book champions the cause for societal transformation via marriage stability and healthy parenting. Divorce is a cancer weathering the foundation of many marriages today and in this book, you will see how it destroyed the marriage between Ifenna and Ifeoma. This book, will educate you to be wise and careful of third parties who have no intention for your marriage success. This novel is more than a book, it’s a tool for marriage and family transformation; I am sure some people have similar experience like Jasmine, the major character and her brothers had in this book because many challenges are militating against the peace of many homes in our society. 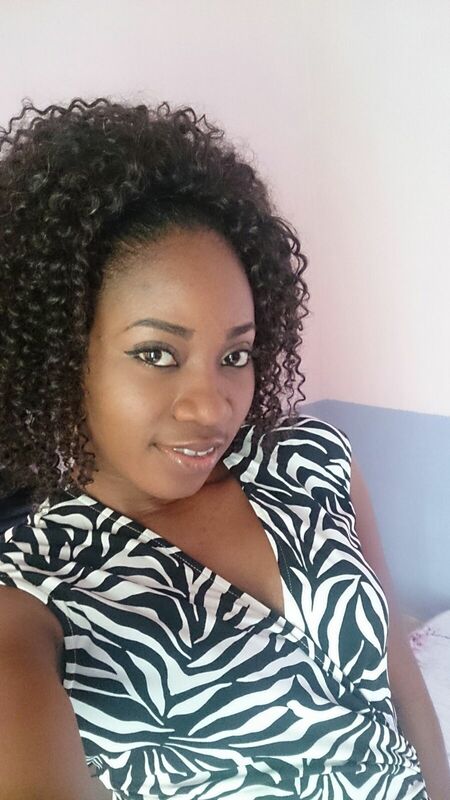 Elizabeth Ngozi (Lizzy) was born in Port Harcourt, Rivers State, Nigeria. 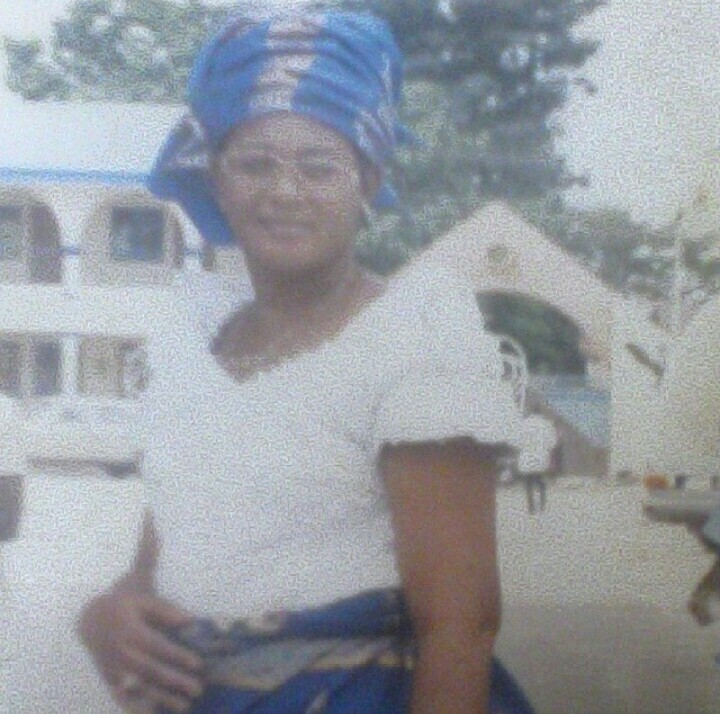 She obtained a degree in History and International Studies from Nnamdi Azikiwe University, Awka, Nigeria. 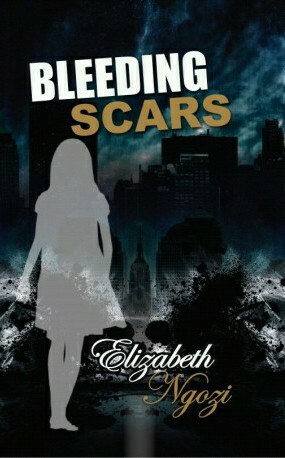 Bleeding Scars is her debut novel. Bleeding Scars is truly a great novel with good plot and the writer knows how to weave words and elicit emotions. I read the book from beginning to end without stopping till I finished; easy to read and lovely. I endorse and recommend this novel to everyone in our society for if the family is saved, the nation is safe. I give high five to the author for penning this good work. Enjoy it and be your best. At Hinovelty: a Life-betterment organization focused on helping individuals and organizations make better life, living and legacy, we celebrate creativity and give it a voice in order to impact humanity positively. The Millennium Development Goals (MDGs) have unquestionably been highly successful in bolstering governments’ commitment to poverty reduction, achieving basic education and health, promoting gender equality and environmental sustainability, and bridging the gaps in human development. In spite of these progresses, globalized education is still a requisite and the primary tool in achieving the Post-2015 Global Development Agenda – the continuation of effort to achieve prosperity, equity, freedom, dignity, peace and respect in a world of cultural and linguistic diversity after 2015. The complexity of today’s globalized world has made development challenges interlinked. Peace cannot be achieved and prosperity cannot be sustained without finding unified, common and general solutions and without all nations contributing unanimously and with a sense of shared responsibility. The Millennium Development Goals which will be succeeded by the Post-2015 Development Agenda at the end of 2015 (United Nation’s 70th Anniversary) have framed sustainable development as a universal project. 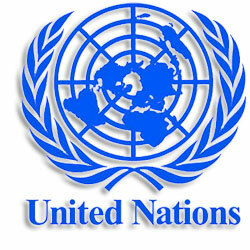 The post-2015 development agenda include issues that are of common concern to all and pose challenges at national levels. Moreover, they define objectives to be achieved at the global level. Before we delve deeper into the role of globalized education in achieving the post-2015 agenda, it will be apposite to have a proper understanding of the concepts that underpin the subject. Suffice it to say that education is both essential and indispensable for sustainable development. Globalized education fuels sustainable development as nations seek to transform their visions for the world into reality. “Globalization,” as observed by Chang, “is the integration of national economies, culture, social life, technology, education and politics. It is the movement of people, ideas and technology from place to place.” Globalization affects all facets of life universally, scientifically, and technologically. Its effects are felt in world’s culture, economy, environmental, social and human disciplines. In its broadest sense, globalization refers to intensification of worldwide social relations which link distant localities in such a way that local happenings are shaped by events occurring many miles away and vice versa. Education has been recognized as a fundamental human right for more than half a century now. It is the endless process of bringing up people to know themselves, their environment, and how they can use their abilities and talents to contribute in the development of their society. Education improves the mind of the student for ethical conduct, good governance, liberty, life and rebirth of the society the student finds himself. Education, as an agent of change, empowers its recipient to be creative. It is a form of learning in which the knowledge, skills, and habits of a group of people are transferred from one generation to the next through teaching, training and research. Any experience that has a formative effect on the way one thinks, feels, or acts may be considered educational. Converse to the traditional way of teaching and learning, globalized education means adopting a universal, scientific, technological and a more holistic approach to education with the aim of preparing and equipping our young ones appropriately for sustainable development, and creating a peaceful and better world for this generation and posterity. Globalized education allows every child to acquire the knowledge, skills, attitudes and values to shape a sustainable future. It is, however, not culturally, religiously or geographically myopic. It is not racial or given to prejudice. In globalized education, schools do not function in isolation; they integrate with the world outside and expose students to different people and cultures, giving them the opportunity to appreciate cultural differences and what the planet offers, while respecting the need to preserve their culture and the natural and human resources that abound. The Post-2015 Development Agenda refers to a process led by the United Nations (UN) that aims to help define the future development framework that will succeed the Millennium Development Goals. The recent UN development agenda is centered on the Millennium Development Goals that were officially established following the Millennium summit of the UN in 2000. At this point, we can now advance our knowledge on the role of a sound and universal education in achieving this post-2015 development agenda which is expected to tackle and find suitable solutions to many issues, including ending poverty and hunger, improving health and the education system, making cities more sustainable, combating climate change, and protecting oceans and forests. As the world stands at an historical juncture, it calls for a truly transformational and universal education system that integrates the three dimensions of sustainability (economic, social and environmental) in all activities, addresses inequalities in all areas, respect and advance human rights, fosters love and peace, and that is based on credible, equitable and sustainable system and safe environment for learning. There are, of course, many different ways in which globalized education can be beneficial and advance the future sustainable development goals. Sound, universal and quality education is not only a top priority but also a cross-cutting matter which is indicated and reflected under three other pivotal goals related to health, economic growth and climate change. A good global education is the step – the first step in ensuring that these development goals are achieved. Education marked by excellence and a conducive and habitable environment are two hallmarks of our world today. What we are taught, what we learn and how we treat our environment are connected to so many other possibilities in achieving a peaceful society where poverty has no place. The bedrock of sustainable development of every society is the education of its young ones. According to a report by experts, 90% of all brain development occurs by the age of five. By this, if we must realize our goals and raise a selfless generation that will continue from where we will stop in making the world more peaceful, we must start very early to educate them. The great aim of globalized education is to harness the student’s abilities, powers, capabilities and talents, and rightly molding the student into shape for helping and serving the community which he is a part. Global education has a felt influence on environmental sustainability. Successful implementation and actual use of new, affordable technologies for sanitation in Africa came with education. Another evident example of how globalized education is helping to achieve environmental sustainability is from a reported Eco-school in the United Arab Emirates which was awarded Green Flag, a symbol of excellence in environmental performance. The students put forward important environmental friendly approaches and messages within and beyond their school community. This innovative thinking to make good use of available natural resources, neither exploiting nor abusing them, came about as a result of a sound learning process that changed their behavior and gave room for them to adopt sustainable lifestyles. “If we look to the future, when we talk about outsourcing jobs, when we talk about global competitiveness and our efficiency, none of that matters very much unless we have appropriate training and education for our young people today who are the workforce of tomorrow. It is an economic reality, and we are failing,” observed Bill Frist. The problem of unemployment does not wholly emanate from the government. Part of it rests on the individual. Why do we go to school? To learn, yes! But far from this narrow-minded purpose is the need to acquire knowledge, a skill, and a know-how that can be applied to earn a living and live a sustainable lifestyle which has positive impact on the society. Though all educated persons are not rich, but each possesses a knowledge that can get him a job, or which he can use to create one. Moreover, there have been significant contributions of globalized education on the health sector. However, time and space will not permit us to have a detailed look at the impacts. Permit me to cite a report which states that “education of large numbers of community-based health workers reduced deaths from malaria by 66 percent in Zambia in six years.” With the right education in health technologies, medicine and other medically inclined fields and sciences, life expectancy will improve evenly and no country will be left behind. Realizing the Post-2015 Development Agenda requires all hands to be on deck. The government alone cannot carry it. A fresh global partnership is to be forged. A new spirit of mutual accountability and cooperation must underpin the Post-2015 agenda so as to ensure uniform distribution of high quality educational materials to the poorest and least developed countries of the world. As we all know, access to computers and the internet and good conducive environment have become basic needs for education in our modern societies. This new alliance to finance and provide education to reach every child, even the ones in the streets, should be strictly based on a common understanding of our shared humanity, based on mutual respect and benefit. It should put people at the center including those affected by poverty and exclusion, women, youth, the aged, disabled persons, and indigenous people. Civil society organizations, local and national governments, multilateral institutions, the scientific and academic community, non-governmental organizations, businesses, and private philanthropy should come together and ensure that no one is left behind in getting globalized education for sustainable development. We must endeavor to see to it that every child, every individual, color or race notwithstanding gets the opportunity to receive a cost effective, high quality education, starting from prekindergarten to elementary and secondary, to special education, to technical and higher education and beyond. A popular Nigerian proverb says, “The upbringing of a child is not the sole responsibility of an individual but a communal responsibility.” Therefore, let us all answer the call and take up the rewarding task of ensuring a quality and universal education for all. The role of globalized education in realizing the Post-2015 Development Agenda is to help people acquire and develop the knowledge, attitude, skills and values to make informed decisions for the good and well-being of themselves and others, now and for the future, and to act upon those decisions to bring about sustainable development and shape a sustainable future. Globalized education should educate us out of selfishness and drive us into selflessness which links us with all humanity regardless of geographic boundaries, religious, racial and cultural differences. It is an approach to teaching and learning beyond the traditional model of “book teacher” based on the UN’s ideals and principles that underlie sustainability – human rights, poverty reduction, peaceful environmental protection, health, sustainable livelihood, biological and landscape diversity, climate change, gender equality, and protection of indigenous cultures. Without mincing words, we can aver that globalized education can help achieving the Post-2015 development goals. For our assertion to stand and remain factual we must consider the interrelations that exist between education and development as they share a symbiotic relationship. Governments, institutions, organizations and individuals must recognize the full potential of education as a requisite and catalyst for sustainable development, and act as such. Conclusively, globalized education is a multi-dimensional process that ultimately transforms our people, our economy, and our dear planet. Truly, globalized education empowers people, transforms lives, and shapes the system that drives the progress of sustainability. It is the foundation and the only means for achieving peace in our societies. It fosters economic growth thereby reducing poverty. It is growth and life, and a means to achieving the Post-2015 sustainable development agenda. of Management Accountants (CIMA), Nigeria and published author. He represented Nigeria in the 2013 International Leadership Blogathon, speaks in seminars and participates in life-betterment projects. Christians to see God in His true beauty. This book will open your eyes to truth and better your walk with God. It challenges Christians to live out their Godness and influence their fields of endeavor with their Christness. Final bye bye to those clergies who are now ‘God of men’ instead of men of God; this book is inimical to your business and the book is unstoppable. To you Christian that refuses to reason right and worship men instead of God, this book will switch on the Jesus in you. The author really showed his thought leadership sagacity by beautifully using words to paint pictures of some stuff that happen in some churches. This book is great! human issue should concern the church and must be handled in Christlike way. I commend Mr. Emeka Nobis for writing this book. 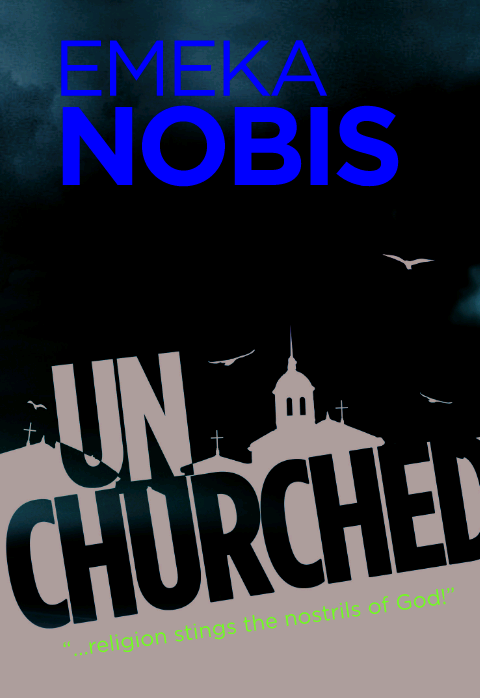 Get unchurched for religion truly stings and stinks the nostrils of God. Music is as old as man here on earth. Music is a very powerful medium of communication and influence. Music and society are related. Music creates and reflects conditions of the people and era. The therapeutic, psychological and economic power of music cannotbe overemphasized. 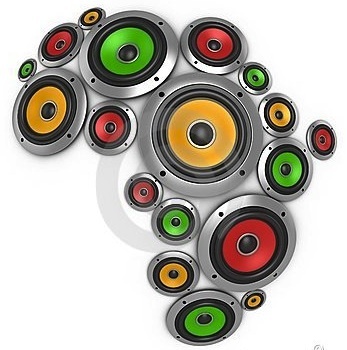 African is a great continent characterized by rich music heritage. The African Music Museum & Hall of Fame is a great and timely project will help restore peace and unite Africa and the entire world. These center will serve great purposes like a hub for the learning of African music culture and heritage, a place relaxation, a tourist attraction and it will also create employment. This project is one of its kind. It’s laudable and need the support of all and sundry. The pioneer of this beautiful project is Noni Camagwini Ntaka. She’s the daughter of a renown South African Jazz artist. She has given her best – time and resources for this project to be a success and we call on South African government, other African countries, the international communities and lovers of music to support this cause. The African Music Museum & Hall of Fame is creating a new paradigm for the world to cherish Africa music, its history and the gifted people who made it happen. This monument will be an institution where stuff about African Music and Musicians will be permanently housed and treasured. This project will inspire and engage generations to appreciate and connect with works of past music maestros and challenge them to birth theirs. It will be a place for musical performance, study, exhibition, et cetera. This project will enrich the rich African cultural heritage. Notice: Hinovelty is a Life-betterment organization and this piece was written in honor of The African Music Museum & Hall of Fame. The book features works from poets from different countries including the USA, Nigeria, India, South Africa, Botswana, Jamaica, Lesotho, Zimbabwe, Hungary, Philipine, Cameroun, Ghana, et cetera. This book was officially unveiled on 28th May 2015. The idea for the book was inspired by Dr. Angelou in her role as an author, civil rights activist, teacher, life mentor and by and large her written contributions that changed the lives of many people. “The anthology is a dedication honoring the poetic icon, Dr. Angelou who left a legacy for us to thrive and better ourselves and the communities in which we live”, said Ifeanyi Enoch Onuoha, a leader at Hinovelty. In June 2014, Hinovelty put out a call to action on their blog, Facebook and Twitter pages, as well as on other blogs and news sites, requesting writers to submit their poems for the anthology. They received an overwhelming contribution of poems submitted by poets from all over the world. “The book was written to cause a social change that upholds values and uproots vices through the celebration of good role models, such as Dr. Angelou and to inspire the reader to live a purpose-driven life. And secondly to remind Dr. Angelou’s family that her memory and good works will be evergreen in our own lives”, added Mr Onuoha. The contributing poets include published authors and prolific poets who are seasoned as well as uprising ones. 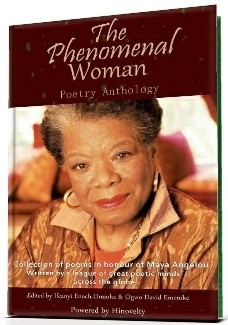 “As a young published author I have always been inspired by Maya Angelou and it’s a humbling experience for me to be a part of this history making experience, where I get the opportunity to honor the great woman that she was”, said Lerato Matsaneng a contributing poet and co-editor of the anthology. 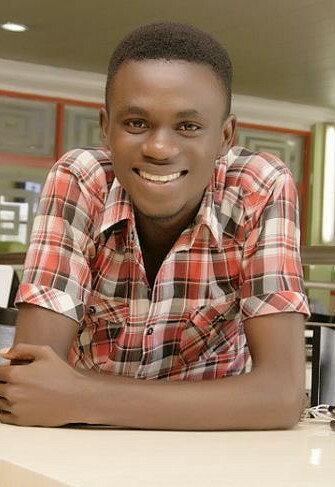 Ogwo David Emenike, a young sage and poet is a co-editor of this work.The foreword of this book was written by Eriata Oribhabor, a renown poet and poetry promoter. All the proceeds from the book will be used for youth and women empowerment programs. The book is available on paperback on Amazon or as ebook on Kindle. Hinovelty is a cutting-edge life-betterment organization focused on helping individuals and communities maximize their potentials. Public speaking is not for a select group of people. You must learn to speak rightly in order to sell your products, evangelize your brand, win a deal or propagate an ideology. Have you ever felt public speaking was something meant for men called gods like Barack Obama, Martin Luther King? Did you know that a public speaker’s message is woven into his personality; a good blend is a great combination that is powerful? Have you been speaking for free and you loathe the fact that phenomenal speakers are lugging home outrageous amounts for speaking? Are you considering going into public speaking full time? Do you feel the pangs of fear that make your knees buckle and your speech-slurred whenever you stand before people to speak? Are you often confused on how to properly pronounce some English words and that makes you look like as a wanna-be? If you have considered the questions above and found yourself fitting into one of these questions above, then keep calm and read on. 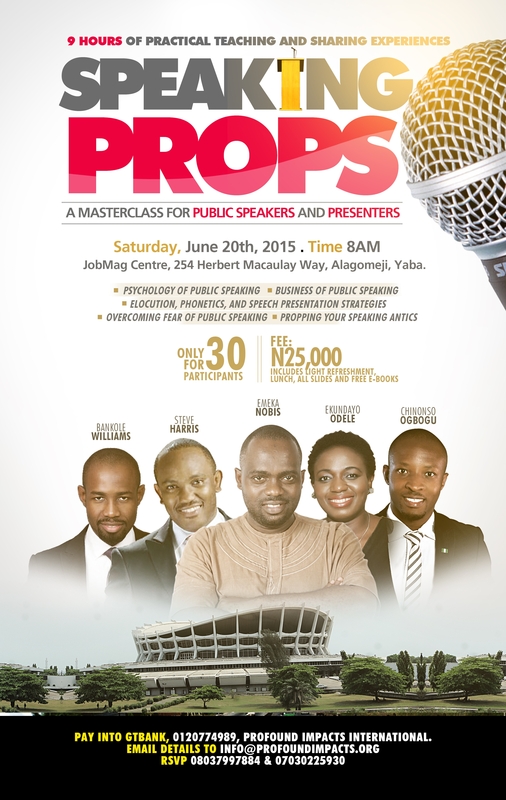 SPEAKING PROPS is a Masterclass for public speakers, thought leaders,business leaders and TV/radio presenters. The first edition held in Port Harcourt on the 30th of May, 2014. Abuja edition held on the 15th of November, 2014. Lagos edition is scheduled to hold on the 20th of June, 2015. 1. PSYCHOLOGY OF PUBLIC SPEAKING. Public Speaking is not rhetoric. It is meant to be a persona. You should carry your message from inside you. The original power in public speaking is derived from being a walking, living version of your message. There is a psychology to public speaking. Your first few words, your facial countenance, your gait and salutation can make or mar your speech presentation. How do you grip this psychology and use it to your advantage? During this session, BANKOLE WILLIAMS, A brand strategist, convener of LIVE YOUR DREAM Africa and seasoned life coach, will teach participants what the psychology is and how to use it to their advantage. 2. OVERCOMING FEAR OF PUBLIC SPEAKING. Many individuals have messages within them, yearning to be shared to the world. But, standing in a room of just five persons, they tremble, sweat, or even piss in their pants. The fear of public speaking is one of the worst fears in human history. However, this can be overcome, not by using drugs or narcotics, but by effective strategies that work. CHINONSO OGBOGU, Chief Strategist, SM Learning Development. He is a rising voice in Africa in the area of success education. He’s the creator of SuccessMatters, a writer and published author, will share with participants on how to overcome this fear. 3. BUSINESS OF PUBLIC SPEAKING. Many speakers speak for free, and that’s fine. But you can earn a fee by doing something you usually do for free. That’s where the business aspect sets in. Speaking is a value-adding enterprise. How do you fashion your product? How do you structure your offering to be valuable and profitable? 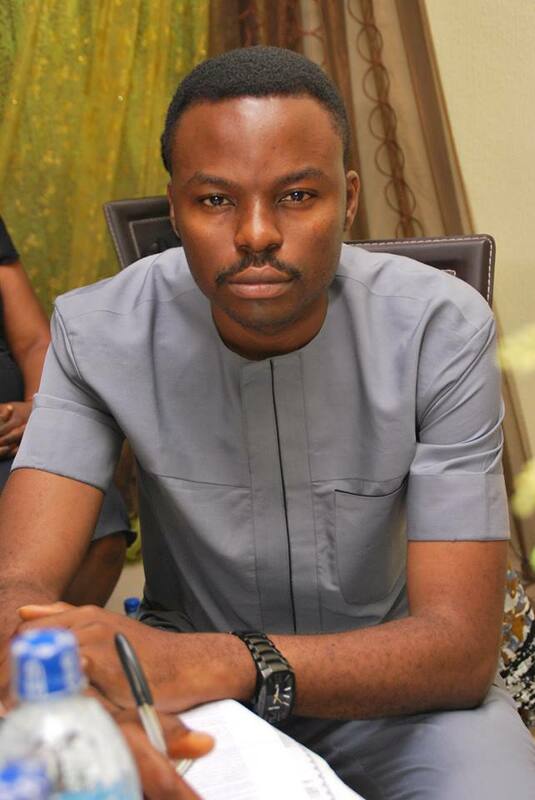 STEVE HARRIS, CEO of Edgecution, a leading business managementy firm in Nigeria. He is a life strategist, business consultant, highly sought after speaker and author of two good books. will share with participants on how to do the business of their speaking. 4. PHONETICS, ELOCUTION AND SPEECH PRESENTATION STRATEGIES. Phonetics isn’t just to speak like oyinbo people. Keeping your words simple so you don’t lose your audience is key. Sounding your words properly is paramount. Modulations, using a key example like Martin Luther is essential to a fantastic speech delivery. EKUNDAYO ODELE, God lover, People lover, Speaker, emerging photographer, Game changer, World Changer and woman of substance, will share these strategies participants. PowerPoint slides in your presentation? How do you start preparations? What do you do if you are running late to an event? Should you stay behind when you are done speaking at an event? What is the use of feedback sheets? What has time got to do with your delivery? EMEKA NOBIS, an Engineer, a passionate writer, thought leader, author and life strategist, will share effective strategies that can prop your speaking antics and position you to be invited again and again by clients. Fee: N25, 000 (covers light breakfast & lunch, free e-books and all the slides of the sessions). Venue: JobMag Center, 254 Herbert Macaulay Way, Alagameji, Yaba, Lagos, Nigeria. There is a special discounted fee of N20, 000 for participants who pay before June 15th, 2015. To register, pay into GTBank, 0120774989, Profound Impacts International. This event is something you mustn’t miss. It offers opportunities for you to unlearn, learn, relearn and connect with great minds. Now is the best time to live your best life. And see the treasures that lies within you. Georgeline Grant is a visionary woman that never gave up in life no matter the difficulties, she is an inspiration. 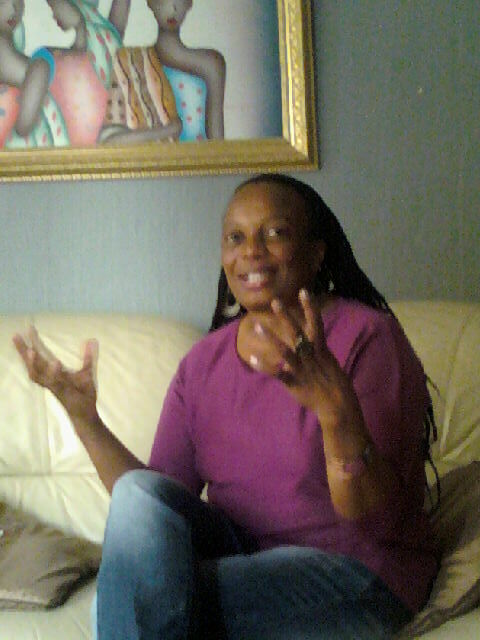 Her passion is to become a very good writer of poetry that will speak to peoples hearts and uplift their spirit. This emerging great poet is a stage 2 crochet artist, she also love reading and writing poetry. 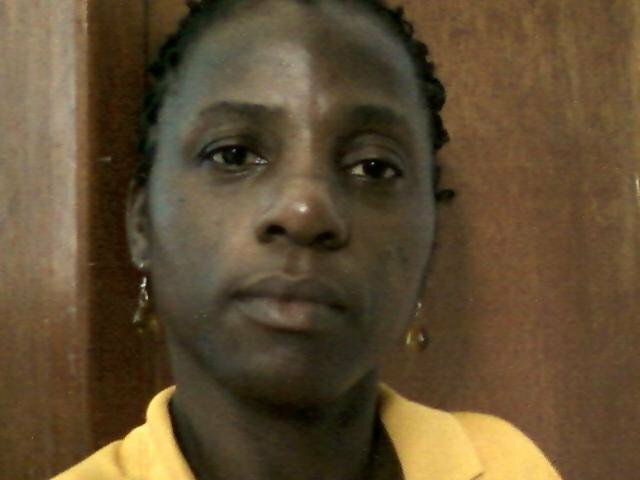 Georgeline lives in St. Elizabeth, Jamaica. For it was bound to happen, everything around us testified. All conditions perfect, an evil harvest so certain. What sin has she committed to deserve this judgment? Must your life end as the soothsayer proclaimed? So we prepared to die with you for our loyalty is with you. But suddenly, I hear a voice saying, who shall go for us, who shall we send? Rising from among the people on invisible hands with an unimaginable speed, I was sure to expect the unexpected from the least expected. He was chosen to cut the tree that grew from the evil seed, now about to bear fruits. Though he was a lamb, he lived among wolves. But at the appointed time he found courage to separate himself from the wolves and assumed his true identity in order to cut the evil tree. And sure enough he did not by the weapons of war but the weapon of a brave heart. For in a minute phone call, he fulfilled his destiny and kept our beloved nation, Giant of Africa as one indivisible entity. So the forces of evil faded away, while peace and Goodluck reigned in our dear country, NIGERIA. This poem was written without prejudice to any person or group but to encourage non-violent elections and peaceful transition of governments in Africa. Ifediora Ugochukwu Emmanuel is a visionary leader, Electrical Electronics Engineer, public speaker and positive change agent. Emjay on Dear Lara, What Do I do?